Simon & Schuster Books for Young Readers, 9780689822292, 144pp. You never know what's gonna come down -- in Heaven. At fourteen, Marley knows she has Momma's hands and Pops's love for ice cream, that her brother doesn't get on her nerves too much, and that Uncle Jack is a big mystery. But Marley doesn't know all she thinks she does, because she doesn't know the truth. And when the truth comes down with the rain one stormy summer afternoon, it changes everything. It turns Momma and Pops into liars. It makes her brother a stranger and Uncle Jack an even bigger mystery. All of a sudden, Marley doesn't know who she is anymore and can only turn to the family she no longer trusts to find out. Truth often brings change. Sometimes that change is for the good. Sometimes it isn't. 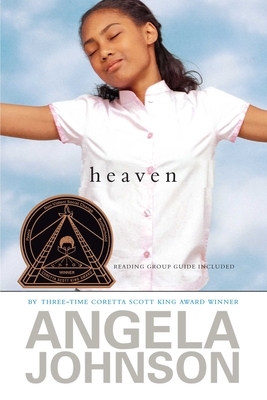 Coretta Scott King award-winning author Angela Johnson writes a poignant novel of deception and self-discovery -- about finding the truth and knowing what to do when truth is at hand.